With the announcement of VSAN GA announcement last week, everyone knew that vSphere 5.5 update 1 would be available soon because it is required for VSAN. VMware released vSphere 5.5 update 1 today (11 March 2014). You can download all the components here . 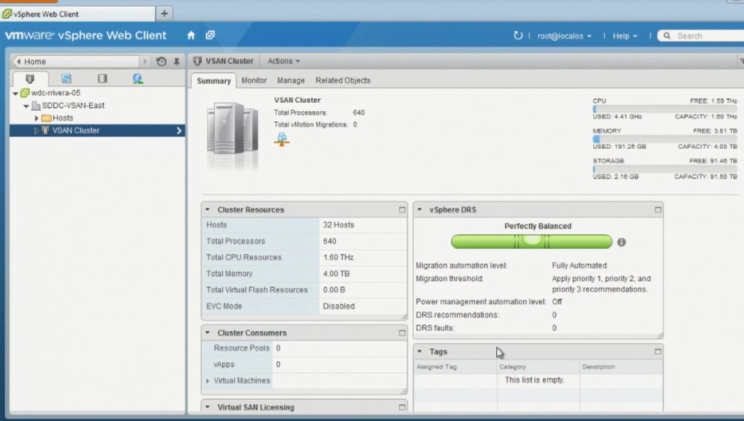 vCloud® Hybrid Service™ vSphere® Client Plug-in, is now available in vSphere Web Client. vCenter Server is now supported on Windows Server 2012 R2. Upgrade of Virtual SAN cluster from Virtual SAN Beta to Virtual SAN 5.5 is not supported. Disable Virtual SAN Beta, and perform fresh installation of Virtual SAN 5.5 for ESXi 5.5 Update 1 hosts. If you were testing Beta versions of Virtual SAN, VMware recommends that you recreate data that you want to preserve from those setups on vSphere 5.5 Update 1. For more information see Retaining virtual machines of Virtual SAN Beta cluster when upgrading to vSphere 5.5 Update 1 (KB 2074147). 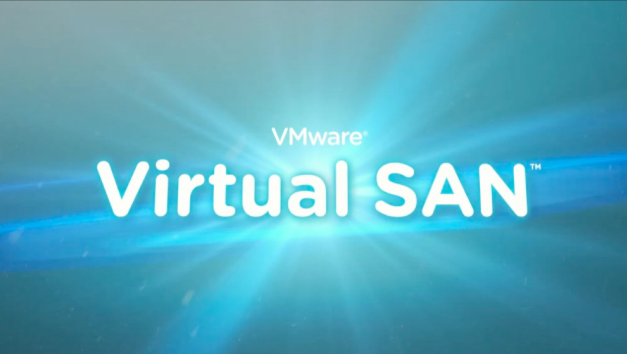 On March 6th VMware annouce the the general availability of Virtual SAN 1.0 through a webinar. In case your missed the webinar, you can go to www.vmware.com/now and watch it. At VMworld 2013 VMware announced that VSAN would support an 8 node cluster. At PEX 2014 VMware announce that VSAN would support a 16 Node cluster. The big announcement about VSAN 1.0 is that it will support a 32 node cluster. One of the things that I love about VSAN is how easy it is to setup. One click and it is installed. VMware will announce pricing of VSAN 1.0 the week of March 10th. VMware released a new VSAN Design and Sizing Guide which can be downloaded here. 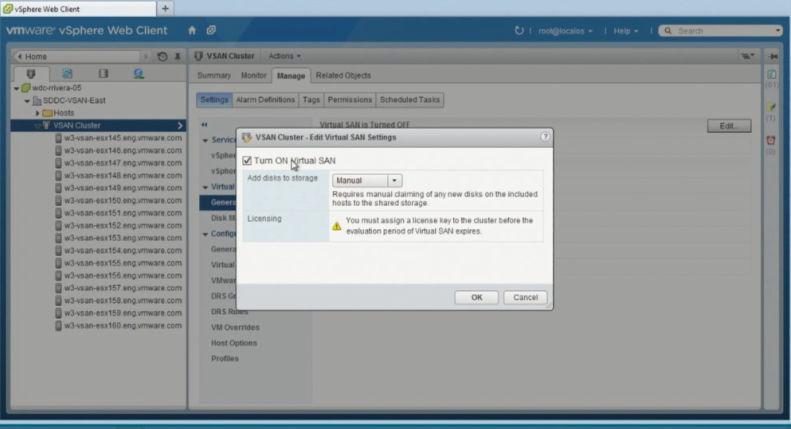 There is a free VSAN Hands-on Lab (HOL) available for you to run through setting it up and getting familiar with the interface. This is great if you don’t have the physical hardware to setup VSAN in your lab. He is writting a book with Cormac Hogan – VMware Virtual SAN launch and book pre-announcement! vCenter 5.5, vSphere 5.5, vCAC, Data Protection, Software Defined Data Center and more! Register now and see more details. Follow @STLVMUG and #STLVMUG on Twitter for the latest event information and updates.